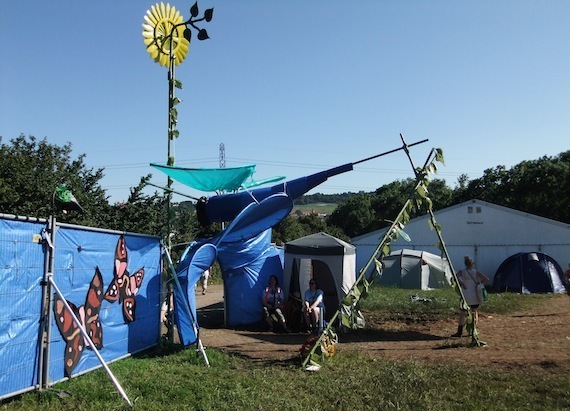 We want Glastonbury Festival to be an event that everyone can experience and enjoy. We try our best to make our 1000 acre green field site as accessible as we can and although there are many stone tracks and temporary walkways there is also a lot of grass! Just as we prepare for all conditions, we do ask that you do too. So please consider the ground conditions and our unpredictable British weather when deciding what access you might require and what equipment you might need to bring. We ask that anyone wanting to use the access facilities pre-registers with us in advance of the festival. This can be done by completing our Access Information Pack and PA Application pack. Please refer to the tabs to the right of this page (website) / top of this page (mobile) to find out how to register and what facilities are available. FOR CUSTOMERS THAT SECURED A TICKET IN THE OCTOBER SALE, THE PA SCHEME HAS NOW CLOSED. CUSTOMERS CAN HOWEVER STILL REGISTER FOR THE ONSITE ACCESS FACILITIES UNTIL THE 3RD MAY. CUSTOMERS HOPING TO BUY A TICKET IN THE RESALE SHOULD READ THE INFORMATION IN THE ‘RESALE TICKET INFORMATION’ TAB TO THE RIGHT ON THIS PAGE.